As oversized insects go, this one definitely uses her power for good, not evil. Devout, humble and helpful, she'll crusade against garden pests with righteous wrath and ne'er harm a hair on your head. 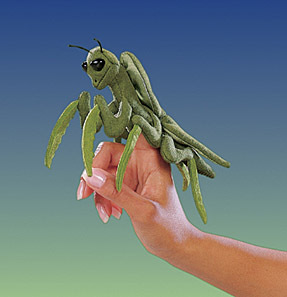 This Praying Mantis puppet comes to life when you wear her on your finger. Measures 7" long.